SAN FRANCISCO, CA – September 4, 2015 – Today Runtastic announced the Runtastic Moment, a brand new wearable that combines the fashion of a traditional watch with the functionality of a modern fitness tracker. Designed to meet the needs of all types of users, the Runtastic Moment is available in four unique styles that offer different size watch faces, types of bands and colors. Simply sync it with the Runtastic Me app and what looks like a traditional watch seamlessly turns into one of the most comprehensive fitness trackers on the market. 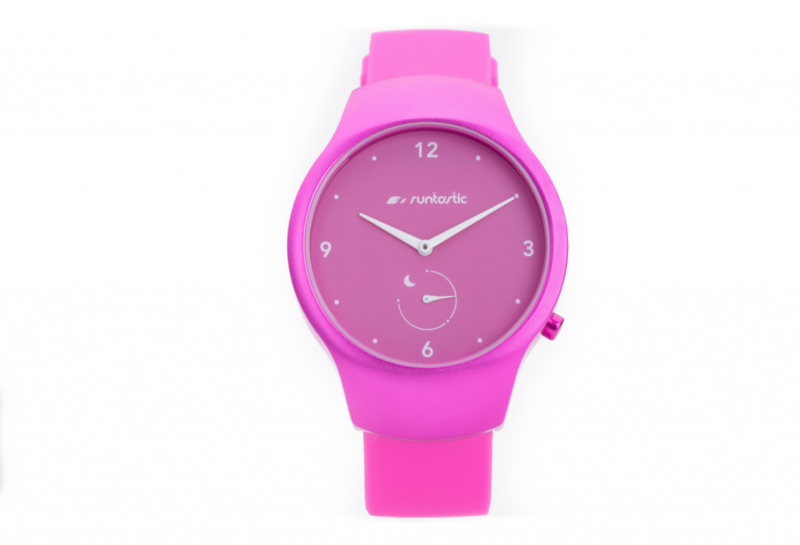 Runtastic Moment Fun: Boasting a stainless steel case, scratch-resistant glass and a comfortable silicon strap, the Moment Fun was designed for the playful, active types. It is available in four colors – raspberry, plum, sand and indigo – for $129.99. Runtastic Moment Basic: Similar to the Moment Fun, the Moment Basic has a larger display and is available in beige and black for $129.99. Runtastic Moment Elite: Designed for a more sophisticated look, the Moment Elite offers a stainless steel case, scratch-resistant glass and a top-quality black leather band for $179.99. 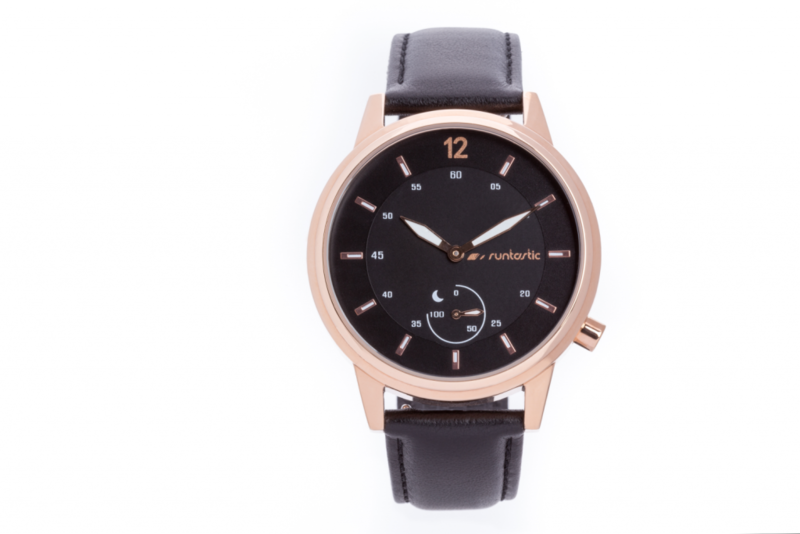 Runtastic Moment Classic: With clean lines and a simplistic style, the Moment Classic offers a stainless steel case, scratch-resistant glass and a leather band – available in silver, gold and rose gold – for $179.99. Last year, Runtastic launched the Runtastic Me app to serve as the dashboard for the Runtastic Orbit wearable. The app has now been further expanded to also work in correlation with the Runtastic Moment. Data from the Runtastic Moment syncs wirelessly to the Runtastic Me app so users can effortlessly view their statistics and daily progress, and engage in gamification features such as Streaks, where they can set and break personal records. The app also provides detailed information about sleep cycles, including duration, and both light and deep sleep phases. Customers located in the U.S. can purchase Runtastic hardware from the Runtastic Online Shop and in select retail outlets in the near future. With more than 140 million downloads and 70 million registered users on Runtastic.com, Runtastic’s mobile applications sync directly with proprietary hardware to track distance, speed, pace, duration, heart rate, calorie consumption and route traveled (via maps) when running, biking or engaging in other exercise activities. The results can then be viewed directly within the app, via Runtastic GPS devices or on Runtastic.com, where users can view their online training log, get detailed data analysis and compare with others. Whether you are a novice or an athlete, Runtastic makes exercise easy and fun. Additional information can be found at Runtastic.com or you can follow them on Google+, Twitter, Facebook and Instagram.